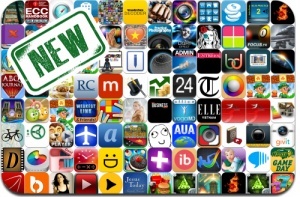 iOSnoops is constantly on the lookout for new apps, and here are 95 iPhone, iPad and iPod touch apps released recently. This new apps alert includes Gongshow Saucer King, Blendamaze, Blade Guardian, Lep’s World 2, MacHeist 4: nanoMission 3, NBA 2K13, Cake Bites Maker, Chlory: Prologue, Lep’s World 2, Word Buster, Movie Player HD+, YouPlayer, CamRuler, and many others. Word Buster – Explosive Word Search Fun!